The Terms and Conditions set out below were updated and are effective as of 00:00 Eastern Standard Time (EST) on 27 August 2014. Please read these Terms and Conditions carefully before using this website. By using this website, you signify your assent to these Terms and Conditions as between you and Yonkers Racing Corporation d/b/a Empire City Casino (“Empire City”), operating as ‘empirecitycasino.com (Online Casino)’ whose registered office is at 810 Yonkers Avenue, Yonkers, New York 10704 914-968-4200. If you do not agree to these Terms and Conditions, do not use this website. 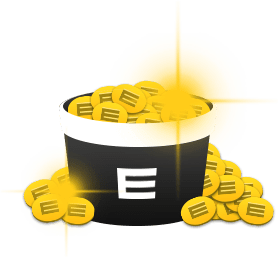 This website is provided by Empire City and powered by GameAccount Network PLC, a company incorporated in the United Kingdom with its registered office address at 125 High Street Kensington, London, W8 5SF, United Kingdom (“GameAccount”). This website, the Games and the underlying software and hardware platform is wholly hosted in a secure data center located in Nevada, United States. End user participants may be awarded amounts of notional currency (“Virtual Credits”) used by the participants in order to access and play the Games. End user participants may elect to pay real money to acquire additional amounts of Credit in order to continue playing or commence playing one or more of the Games on a pay-to-play basis. Virtual Credits cannot be withdrawn by end user participants once awarded to or purchased by the end user participant. Furthermore, Virtual Credits cannot be translated into money or money’s worth. End user participants engaged in playing the Games available on this website for Virtual Credits therefore cannot win money or money’s worth from such activity in any manner whatsoever and accordingly this website is not enabled for Internet gaming nor does this website offer real money Internet gaming in any form or format whatsoever. This website and participation in the activities on this website is restricted in certain circumstances. Participation in the activities and games (the "Game" or "Games") is open only to residents of those jurisdictions where such participation is legal and not prohibited by law, including by way of age. Any Games that are made available to play online are additionally only open to individuals of legal age of majority only, in the jurisdiction in which you reside. You cannot play under any circumstances if you are not at least eighteen (18) years of age; minors may not play. Additionally, residents in countries outside of the United States, regardless of their age, may not play. In order to avoid minors playing on this website, we reserve the right to carry out verification checks to verify the information provided by you. We may undertake a search with a third party for the purpose of verifying that you are 18 years or over. Where these checks are unable to verify that you are 18 years of age or over, we reserve the right to ask you for proof of age, satisfactory to Empire City in its sole discretion. If we are unable to confirm that you are aged 18 or over within seventy two (72) hours (or such other period as may from time to time be specified by Empire City) of your account being opened then we are required to suspend your account until satisfactory proof of your age is provided. With respect to players who reside outside the United States, you may not seek to register and/or open an account within this website and in the event you circumvent the technical blocking systems employed by Empire City, or its designees, to prevent access by residents of countries outside the United States your account will be subject to immediate closure and you will forfeit any and all Virtual Credits contained therein. Empire City and its designees reserve the right to carry out local research and to check with local authorities if you fail to produce evidence of your identity within 30 days of a request by Empire City and in the event you fail to produce evidence of your identity we will treat your account as a Dormant Account in accordance with the provisions set out below. In the event of a multi-stage single-player game where there are still active bets of Virtual Credits on the Table, the Game state may be stored and resumed at a later date. • your connection is terminated for any reason in which case you will be deemed to have lost the Game if you cannot reconnect to the Game while it is still in progress (please see the terms of our disconnection policy as set out below). If you lose your connection during a game of Pro Blackjack, in which you were in the middle of playing out one or more hands of blackjack, your session will persist and you will be able to login to the website, re-launch the Pro Blackjack Game and continue your hand or hands of blackjack. If you do not re-connect to continue play of this session of Pro Blackjack within thirty (30) days your Virtual Credits will be deducted or forfeited to Empire City. your Game will be paused and your opponent notified of your disconnection. If you log back in and re-enter the Game lobby within two (2) minutes you will be given the opportunity to rejoin your Game Table (the “Disconnect Protection”). If you do not reconnect within the two minute period your opponent will be deemed the winner and your Virtual Credits or Credit-liability will be deducted or forfeited. Our software will detect whether there has been a genuine disconnection. If you try to claim Disconnect Protection by simply getting 'timed out', you will be deemed to have resigned from the Game. Disconnect Protection is not to be used for any purpose other than a genuine disconnection. Any intentional disconnections from the Game lobby or Game Table may result in forfeiture or deductions of Credit winnings, or expulsion from the site. In the unlikely event a real Game in progress is cancelled due to technical issues, both players will be automatically refunded their Credit buy-ins, regardless of the players’ standing when the Game was stopped. We reserve the right to render final decisions on all matters concerning Game terminations or stoppages or other Game determination issues, at our sole discretion. Refunds may be communicated via electronic mail or via the Site. We shall not be required to maintain usernames or passwords and if you misplace, forget, lose or are otherwise unable to enter the website empirecitycasino.com (Online Casino), we will not be responsible and will not be held liable for any claims regarding your account. We reserve the right to modify and/or amend any of these Terms and Conditions from time to time as we deem fit. The Terms and Conditions contained herein may be modified and/or amended without notice to you. Any such modifications and amendments will take effect upon posting in the "Terms and Conditions" section of this website. • you shall not allow any other person or third party including, without limitation, any minor, to participate in the Games; use or reuse your account; access and/or use any materials or information from the website. (iv) actively scan Games on our website to ensure that no players are using any type of 'bot' or additional software in order to give themselves an unfair strategic advantage while playing a Game. While we cannot prevent players from initially using such aids, we do reserve the right to retrospectively cancel or unwind all Credit promotional credit awards and terminate any account and confiscate any Credit winnings derived from tournament entries or wagers where we have detected, on review of customer's gameplay, that such aids have been used. Our decision, without liability or responsibility, is final on all accounts terminated. If you suspect any player is cheating or colluding or undertaking a fraudulent activity it should be reported to us immediately by email to customerservices@play.empirecitycasino.com identifying the player or players’ usernames or aliases involved and containing a brief description of their suspect activities. You may not play any Game if you or a member of your household, are or have ever been, an employee of Empire City and/or GameAccount or any of their its subsidiaries or affiliated companies. For the purposes of this clause an “employee” includes third party contractors such as licensors, software suppliers, developers or partners and all those persons in any way affiliated with them. Under no circumstances, including but not limited to, negligence, shall Empire City nor Game Account, nor their employees, suppliers or affiliates, be liable for any loss of chance or opportunity, damages (including loss of profit), special, consequential or otherwise, that result from the use of, or the inability to use, the materials in this web site, even if our representative (authorized or otherwise) has advised you of the possibility of such. We are not under any obligation to provide the web site, or any Game thereon, to anyone, or the opportunity for any person to participate or continue to participate in any Game or tournament and we expressly decline liability for the same. We do not warrant that the functions contained in the content of this web site will be uninterrupted or error-free, that defects will be corrected, or that this web site (or the server that makes the website content available) is free of viruses or other harmful components. The Terms and Conditions and the agreements made herein shall be governed and construed in accordance with the laws of the State of New York and the federal laws of the United States applicable therein. Any legal action or proceeding relating to your access to, or use of, the website or content shall be instituted in the courts of New York. You agree to submit to the jurisdiction of, and agree that venue is proper in, these courts in any such legal action or proceeding. 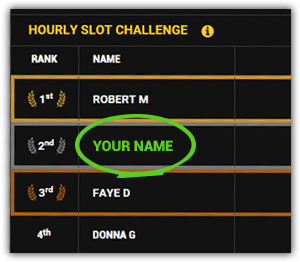 iv) Self-exclusion: While you may request to close your account, any closed account can be re-opened by applying through the website to the customer services team at customersupport@play.empirecitycasino.com. You may wish to permanently close your account by electing to “self-exclude”. In order for you to “self-exclude” please contact our customer services team requesting “self-exclusion”. Please note Empire City Online Casino is a Credit-based pay-to-play gaming site and closure of your Empire City Online Casino account will not affect your access to Empire Club or constitute an exclusion from any gambling related activities at any Empire City property. 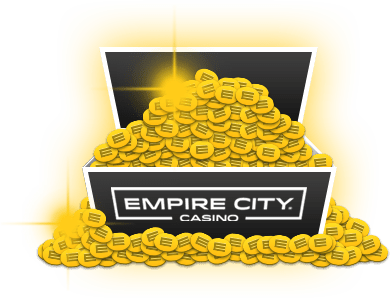 Should you wish to self-exclude from gambling activities related to the Empire City property please visit http://www.empirecitycasino.com/responsiblegaming/ and follow the listed guidelines. Any purchases of Virtual Credits made prior to your account being closed by a member of the Empire City customer services team, along with any unused Virtual Credits will be forfeited and are non-refundable. v) Over 18s Only: It is not allowed for anyone under the age of 18 years to play our Games for Virtual Credits. We reserve the right to request proof of age, identity and address and may request that you download, complete and return a form by fax to a nominated number together with a copy of your passport or other form of valid photo ID. We also reserve the right to make inquiries with third parties in order to verify your identity, age and place of residence. Subject to any rules posted herein from time to time (such as Tournament Rules) the Terms and Conditions contained herein represents the complete, final and exclusive agreement between you and Empire City and supersedes and merges all prior agreements, representations and understandings between you and Empire City. Other than the limited, permitted use to participate in the Games on the website, you agree not to use any content provided through the website for any public or commercial purpose without our express written permission. You agree not to download, rent, lease, loan, distribute, create derivate works, copy, re-use, modify, adapt, attempt to decompile, decipher, disassemble, reverse engineer, decrypt or discover the source code of all or any portion of the Games, create improvements, or seek to obtain intellectual property protection on the content of any intellectual property rights in the Games. Nothing contained in this web site shall be construed as granting by implication, estoppel, or otherwise, a license or right of use of any trademark displayed in the website. Credit-based transactions are only valid if accepted by our server. Until acceptance of the transaction by our server all information displayed relating to a Game constitutes an invitation to play only. You agree that our records shall be the final authority in determining the validity and terms of any transactions and the circumstances in which they were made. We reserves the right, at our sole discretion, to refuse or limit any transaction. Where a transaction is invalid, refused or its value limited, any Credit-based sum deducted from your account with respect to that Game may be credited to your account. • to extend to strangers from different US States and cultures those widely recognized levels of social etiquette employed during telephone communications or meetings in person. Compliance with our Code of Online Conduct is a mandatory requirement of all our players who have accepted our Terms & Conditions for using and accessing the website and playing the Games. We monitor, store and review all chat room and in-Game Communications on a regular basis and will investigate any complaints submitted by our players. Failing to comply may result in the suspension and / or termination of your user account. Suspended accounts may be re-activated at our discretion. Please ensure all of your personal details relevant to your account on the website (under the section My Account/My Details) are correct. If any of your personal details are either not correct or are missing, we will not be able to authorize and process your payments in return for Virtual Credits. We accept payments for Credit by MasterCard and Visa. All credit card transactions are completed on a secure encrypted link between our head office and the clearing bank centre. This payment method is free. You may be awarded Credit to use on the website by opening an account online and thereby automatically accepting a promotional offer. We reserve the right to remove Credit from your account if we, at our sole discretion, deem you have attempted to abuse the Credit. You may be awarded rewards points credited to your Empire City Rewards Card® and redeemable in the Empire City Casino property, consequent only to undertaking purchases of Virtual Credits via the website (and not, in any way, consequent to Your activity playing the Games or any outcomes associated with playing the Games). We reserve the sole, unfettered right to exclude or otherwise remove you from participation in the Promotion if, in our sole opinion, the circumstances warrant such exclusion. Each Promotion is available only once per customer. The identity of a customer will be determined on the basis of all, or any, combination of the following: name, mailing address, e-mail address, IP address, credit/charge card number, computer, and any other forms of identification which may be required. If you are found to have multiple accounts it will result in all your accounts being closed and any Credit being forfeited. Credit will expire after two months of inactivity i.e. no Games played during that time. We reserve the right to ask you to provide sufficient documentation to satisfy us in our absolute discretion as to your identity prior to us awarding any Credit consequent to any promotion. Credit may not be withdrawn from your account in any circumstances. You acknowledge that the Credit held within your account consequent to purchases of Credit in return for real money have no monetary value and are neither money nor real currency. We will charge you 100.0% of the real money sums paid by you in return for Virtual Credits required to continue playing the Games available on this website. This fee shall be taken in full effective the moment your real money online payment in return for any amount of Credit is successfully processed. We charge this fee to cover our costs of development, hosting and maintenance and share any profits with commercial partners. All Dormant Accounts with Virtual Credits remaining shall be subject to an inactivity charge of 100% of all Virtual Credits contained in your account one day following the first month in which your account is deemed a Dormant Account. After your account has been deemed a Dormant Account and has subsequently been dormant for an additional calendar month, your account shall be deemed an “Abandoned Account” and closed at a time solely determined by Empire City and/or GameAccount. When you use Empire City’s online games services via this website, you shall be asked to provide personal identifiable information ("Personal Information") to Empire City. Empire City complies with all applicable data protection laws. We undertake periodic audits with relevant heads of department to review our practices in this area. We collect Personal Information when you register and use our online Games services, make customer inquiries, register for information or other services from Empire City, or when you respond to communications from us (such as questionnaires or surveys). The Personal Information we will collect from you may include, for example, your name, email address, home address, telephone number, debit/credit card data and date of birth and other information collected on registration, or through surveys which Empire City may undertake. We may also receive Personal Information from online vendors and service providers, and from customer lists lawfully acquired from third-party vendors. In addition, Empire City may engage the services of third-party service providers to provide technical support, process your online transactions and maintain your account. We will have access to any information you provide to such vendors, service providers and third-party e-commerce services. (iii) act to protect the personal safety of users of the services or the public. If, in our sole determination, you are suspected or found to have cheated, or attempted to defraud Empire City, the Empire City Group, Game Account ,or any other user of the services in any way, including, but not limited to, Game manipulation or payment fraud, or if we suspect you of fraudulent payment, including use of stolen credit cards, or any other fraudulent activity (including any chargeback or other reversal of a payment) or prohibited transaction (including money laundering), we reserve the right to share this information (together with your identity) with banks, credit card companies, and appropriate agencies. Out of respect for your right to privacy we are happy to provide you with an easy means to decline receiving email offers from us or from any other companies within the Empire City Group. At any time, you may request to discontinue receiving these offers by sending a blank message with the word "Remove" in the subject area to customerservices@play.empirecitycasino.com. If you would like to stop receiving our mail or telemarketing offers, please write to customerservices@play.empirecitycasino.com. You can write to us at any time to obtain a copy of your Personal Information and to have any inaccuracies corrected. Where appropriate, you may have your Personal Information rectified, amended or completed. Please email customerservices@play.empirecitycasino.com. We reserve the right to levy a small charge to cover the cost of administration. Empire City and its partner and service provider GameAccount (and its designees) holds the Personal Information on servers based in the United States. In addition, when you interact with Empire City using the Internet, our servers keep an activity log unique to you that collects certain administrative and traffic information including: source IP address, time of access, date of access, web page(s) visited, language use, software crash reports and type of browser used. This information is essential for the provision and quality of the services provided. Unfortunately, the transmission of information via the internet is not completely secure. Although Empire City will do its best to protect your Personal Information as described in the paragraph above, it cannot guarantee the security of any information that you disclose online. You accept the inherent security implications of using the internet and will not hold us responsible for any breach of security unless we have been negligent. For your own privacy protection, we encourage you not to include sensitive Information (such as credit/debit card numbers) in any emails you may send to us. (iii) scan the files and site-related program folders to ensure that only 'non-hacked' versions of our software are being used. The services provided by Empire City are not intended for or directed to minors or persons under the age of legal consent. Any person who provides us with Personal Information represents to us that they are 18 years of age or over the age of legal consent in their jurisdiction. We reserve the right to access and verify any Personal Information submitted by or collected from you. If we become aware that a minor has attempted to or has submitted Personal Information, we may not accept this information and may take steps to remove such information from our records. Since our partner and provider GameAccount operates globally, it may be necessary to transfer your Personal Information to other companies within the GameAccount organization located in countries outside the United States. The data protection and other laws of these countries may not be as comprehensive as those in the United States - in these instances we will take all reasonable steps to ensure that a similar level of protection is given to your Personal Information. If Empire City should ever file for bankruptcy, or become insolvent, or be acquired by a third party, merge with a third party, sell all or part of Empire City’s assets, or transfer substantially all or part of our relevant assets to a third party, We are entitled to share the Personal Information and all other information you have provided through the services to potential and subsequent business and merger partners.